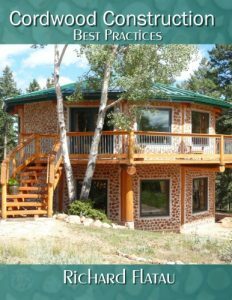 For those who are visual learners (that’s most of us) here are a few pictures of very well build and very good looking cordwood homes. Naturally the eye is drawn to pleasant shapes. The Greeks considered the Golden Ratio the ideal shape of a building and used the Fibonacci Sequence for many of their buildings. 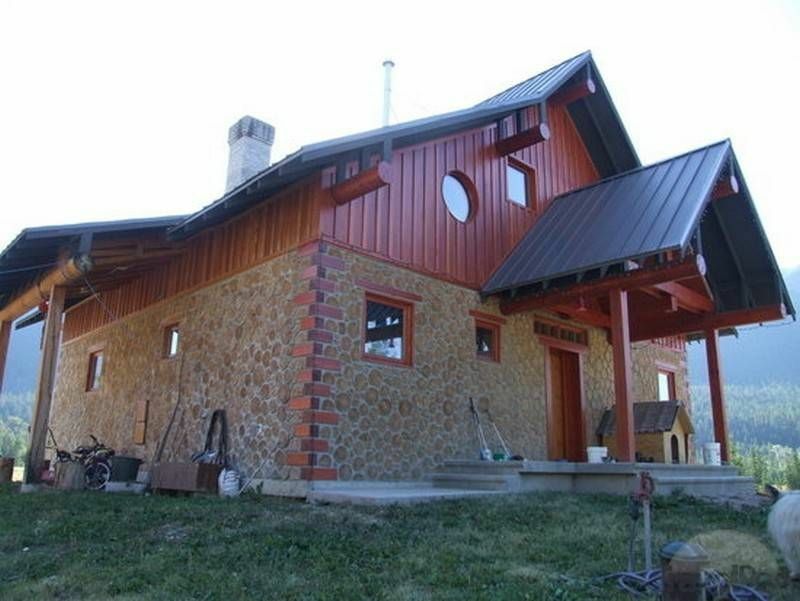 A simple 30′ x 40′ home uses the Golden Ratio. Throw the right roof on and you have an eye appealing home. By observing and measuring the interior of the nautilus shell, the ancient sages opined that there was A Divine Expressions Of Creation which was a Profound Expressions Of Nature’s Efficiency. 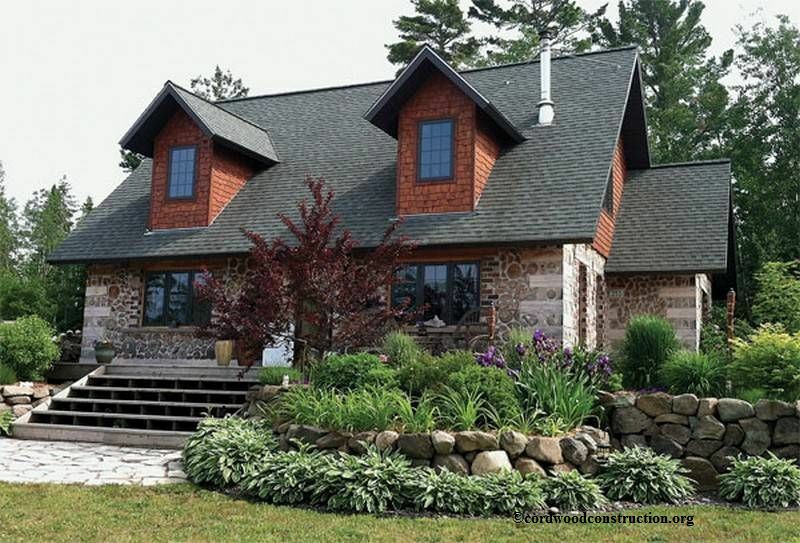 Copper Harbor, Michigan on the very tip of the Keweenaw Peninsula is where this gorgeous home is located. Stackwall corners, cedar cordwood infill and a loft with dormers, looking at Lake Superior. Very nicely done. Vancouver Island is home to a rain forest, mountains, lush valleys, and gorgeous sea coast. 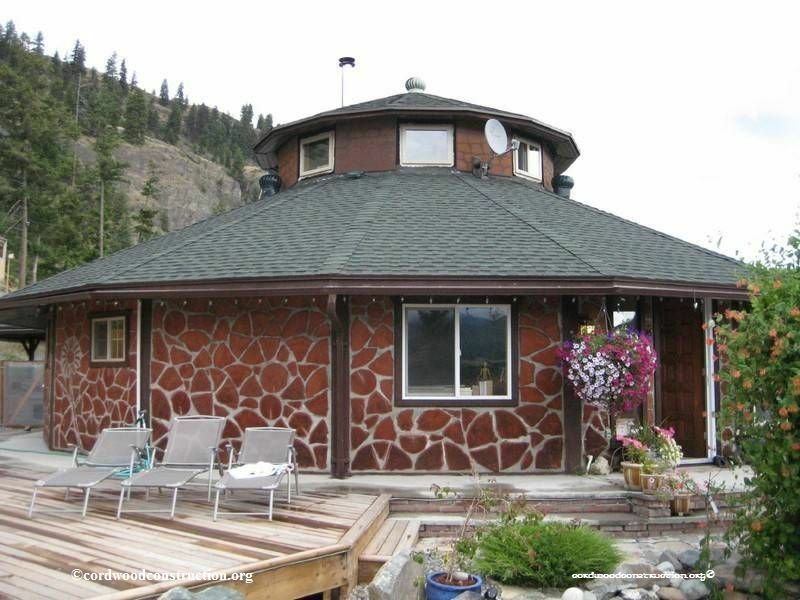 In addition, a Western Red Cedar, double wall cordwood home graces the islands foothills. The foothills of the Rocky Mountains in Alberta, Canada is the home of this stackwall cornered beauty. The metal gable ends, black roof and painted corners give it a special ambiance. 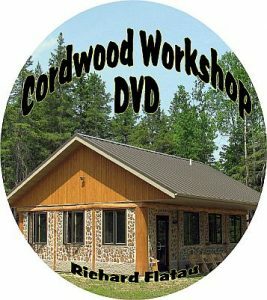 For more information on Cordwood Construction go to www.cordwoodconstruction.org and search the menu bar on the top of the page. 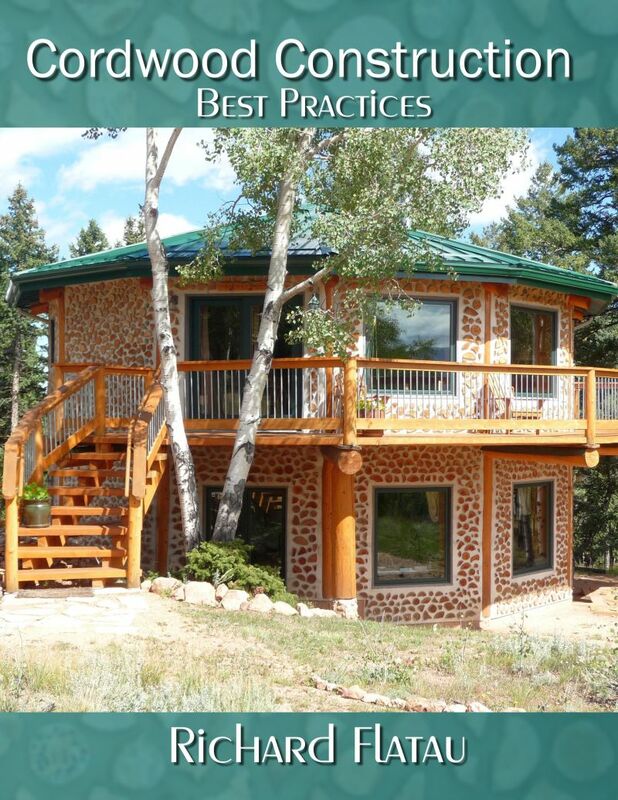 To read how to do this type of construction the newest book is Cordwood Construction Best Practices.